Can you please post on your Web Page and Newsletter that Jackson Hobby Shop is closing and up for sale. The business was started in 1969, a lucrative Hobby Shop and one of the oldest in NJ. The lease was extended till years end and I will be retiring . ‪On 12/31/2018‬ the store will close . We are looking for a buyer to keep the store open and continue to keep the legacy going. Anyone that is interested can contact Frank at ‪732-364-3334‬ or send me an email at jacksonhobby@aol.com and mark it att. Frank . Anyone that has ever been in the store knows that we have an extensive amount of inventory for all facets of the hobby. For all of my customers and friends, which are more like family, this is a sad time in my life and one that I am sorry to see happen, but because of recent health problems are forced to retire. Thanks again for all the wonderful years this has given me and all the tens of thousands of friends I have made over the years. It's been my pleasure to serve you. Cynthia Sinnot also shared a very nice Google Photos Album of the May Launch. Check it out. Launches are run by volunteers. Most launches this is just Arnie (our club President). If other flyers don't show up to fly and help set up the range the range won't open and/or may close early. Flyers should please try to show up by 10am. Also, there are some changes to how the launches will be run going forward. If no one shows up to fly by 10:30am the range will be shut down early. The range will not be opened until other flyers show up to help setup the range. When those present say they are finished launching the range will close. All launching is cancelled if Trump is at his golf course in Bedminster, We are not always notified until we get to the park so a launch cancelation notice can not always be sent. Happy New Year! The Novemner/December 2016 and January/February 2017 editions of the The Launch Rack are now available for download. The LaunchRack recently won the NAR LAC Newsletter Award! Remember, members get copies of the LaunchRack before anyone else. To get copies emailed or mailed to you when they become available please join GSSS. Please see our membership page for more information. GSSS Members -- Have you updated your GSSS Membership for 2016? If not we'd love your continued support. GSSS Memberships are very reasonably priced and we can now process and accept payments online for your conveniece. Please consider renewing today! Please see our membership page for more information. We've posted the GSSS club launch dates for 2016. Please note there is no September 2016 launch this year. Happy New Year! The January/February 2016 edition of the The Launch Rack is now available. The November/December 2015 edition of the The Launch Rack is now available! David long set us a really nice video of the October GSSS Launch this weekend. If you missed it check it out. The September/October 2015 edition of the The Launch Rack is now available. This issue has a lot of important information for GSSS Members including information on electing new club officers and an online survey on competition rocketry we'd like members to take. Check it out. Adam and Josh sent in some videos they took at the August launch including some cool slo-mo video of an upscale mosquito with a bit of a flight anomaly. Thanks guys! A nice day to fly some rockets. If anyone has any photos of the launch you'd like to share with us for posting here or inclusion in the Launch Rack newsletter please send them to us at gssshq@gmail.com. Thanks! 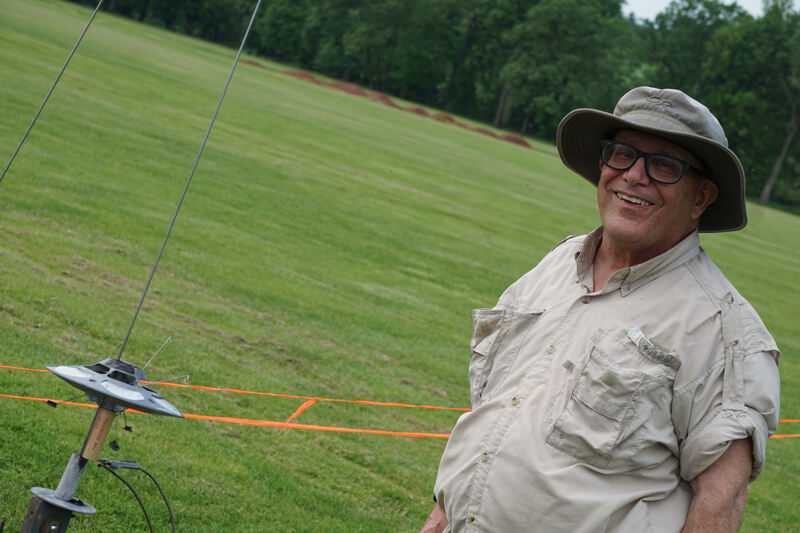 Garden State Space Modeling Society (GSSS) is the longest standing model rocket club and NAR section in NJ. We are accepting new members interested in model rockety and have a special new-member rate for the remainder of 2015. Becoming a member helps support the club. It helps maintain our launch equipment so we can continue to hold monthly launches that are free and open to flyers and spectators of all ages. It also helps us support our website and newsletter so we can continue to keep our members informed and hopefully entertained. GSSS memberships are very reasonably priced. Annual membership dues are only $5 for Junior members (under 16), $7 for Leader members (16 through 20), and $10 for Sernior members (21 and older). Membership runs a full calendar year. Because the year is a little more than half over, memberships are now offered at a discounted rate. Junior membership for the remainder of 2015 is only $3, Leader membership is $4 and Senior membership is $5. Members can choose to receive our newsletter electronically for free or printed and mailed for a small additional fee. If you are interested in joining check out our membership page where you can find an online membership application or download a copy for printing and mailing. We accept checks, money orders and, now, PayPal to make paying membership dues easy. We hope you will consider becoming a GSSS member. If you are already a member thanks and to everyone, happy flying. The July/August 2015 edition of the The Launch Rack is now available. Check it out and have a happy and safe 4th of July. We now have an RSS Feed available. All GSSS news is available if you subscribe via this feed. You can use this link or click the orange RSS icon at the top of the news. If this is new to you then check out this explanation on Wikipedia. Great Day for a Launch! If you have any photos you'd like to share you may email them to us or tweet them to our new Twitter account, @gssshq. Follow us for launch announcements, photos or to ask us questions. Congratulations to the team from Lodi High School from Lodi NJ on making it to the finals of the 2015 Team America Rocketry Challange. They were one of the 100 finalists out of over 700 teams in the country and placed 23rd overall. Well done! The May/June 2015 edition of the The Launch Rack is now available with the second part of the Centuri Flying Saucer article.